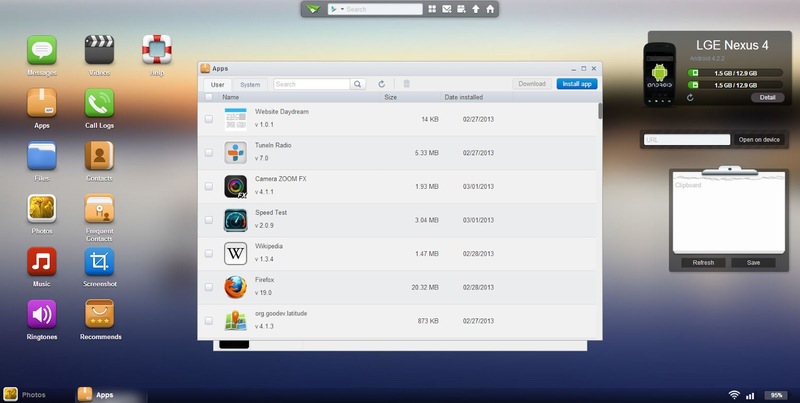 AirDroid (Android) - Manage your phone from your desktop browser ~ Android Forever! Convenience and beauty all in one awesome, free, five-star package! No need to wreck your eyes trying to navigate through your phone's files on that small screen. Now you can view and manage all of them right from your PC's browser, all through your WiFi network. It's so easy you won't believe it. Device photo match for most devices, various widgets (calendar, weather, url transfer, clipboard, etc. ), frequent contacts..